Why do I grow dreadlocks? I'm a Rastfarian. In the Bible - Numbers 6:5 states, "All the days of his vow of separation there shall no razor com Why e on his head; until the days are fulfilled, in which he separates himself to the Lord. He shall let the locks of his head grow long." In Leviticus 21:5, "Priests must not shave their heads or shave off the edges of their beards or cut their bodies." "Rastafari is an Abrahamic belief which developed in Jamaica in the 1930s, following the coronation of Haile Selassie I as Emperor of Ethiopia in 1930. Its adherents worship him in much the same way as Jesus in his Second Advent, or as God the Son. - "Rastafarin movement overview". BBC. October 2, 2009. Many people today grow their dreads as a fashion statement, without knowing the history of the Rasta way of life. In the past dreads were naturally grown just as they would grow. Today, you will see dreads started by perfectly spacing each lock of hair, so that each dread is grown at an even distance from the others. Dreads used to mean, "Dreadful," giving the wearer a fierce or scary appearance. Now, many people wear dreads to look, handsome or pretty. As you know, Bob Marley was one of the world's most famous Rastas. 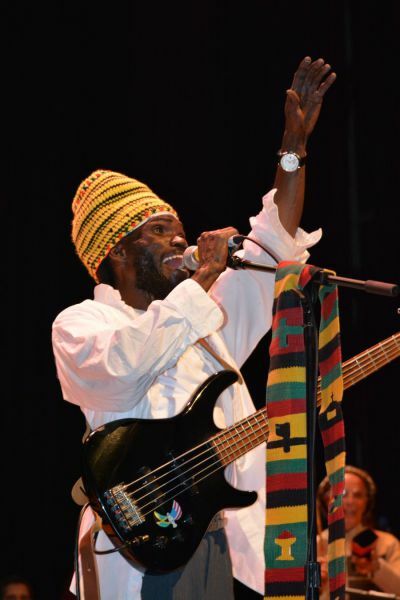 He popularized reggae music, and was an inspiration to me. Bob put Haile Selassie I, the Emperor of Ethiopia's United Nations speech in 1963, to music in his song, "War." https://www.youtube.com/watch?v=gB-ux_QH0Mk You can hear his influence in my music. In several old photos of Haile Selassie I, and on many of Bob's Marley's albums, you can see the, "Lion of Judah," which also appears on historical flags of Ethiopia. Dreadlocks can sometimes have a similar appearance to a lion’s mane, with the lion being universally seen as the symbol of strength. 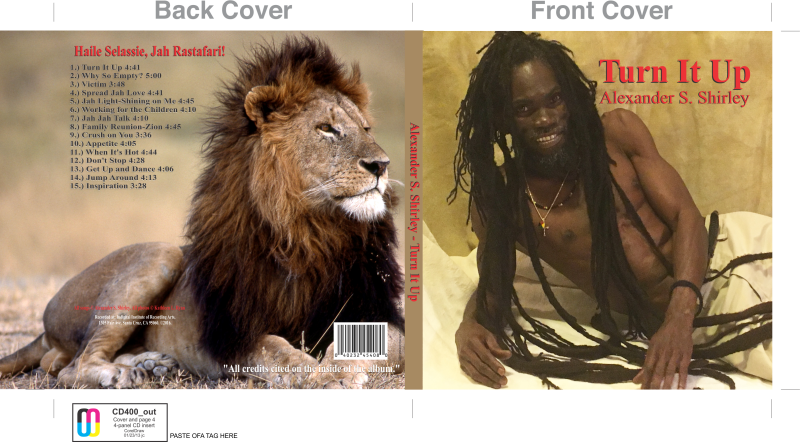 The front cover of my cd, "Turn It Up," shows my dreads, and the back cover's lion, with his beautiful black mane, show these similarities. KZSC Radio Station-88.1: interview, live performance on, "Local Brew"
If you'd like to hear authentic, original, reggae music, please think of me. "Turn It Up" © CD is here!